No, Tony Bellew will not be facing Lennox Lewis in London on Saturday night, nor will he be facing Joe Calzaghe, or Jimmy Wilde. However, he will be fighting David Haye and, if you go back far enough, there was a time when Haye was indeed being spoken of in the glowing terms Bellew uses in the title of this article. 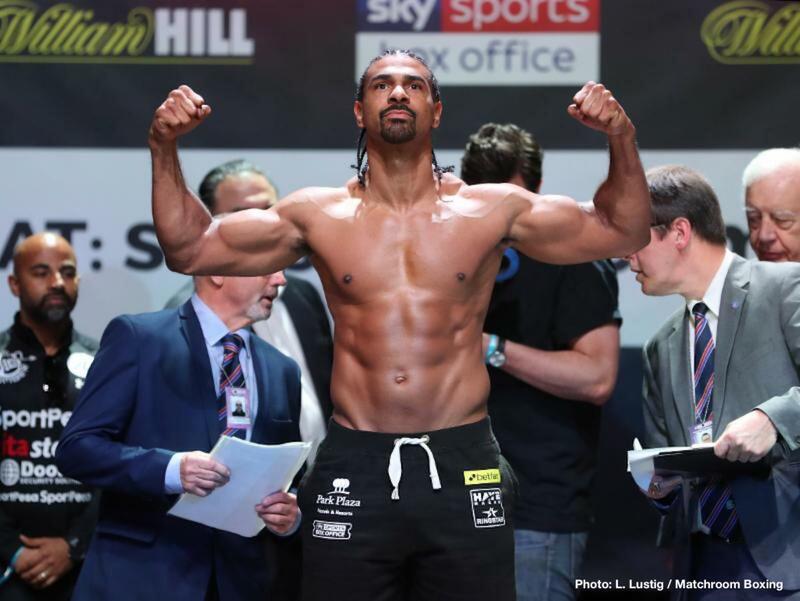 Haye – back when he was going to France to rip the cruiserweight title from Jean Marc Mormeck, and when he was icing Enzo Maccarinelli in a fight that was as big an all-British deal as his two fights with Bellew – was in the opinion of some closing in on greatness. So, so much has happened since 2007/2008 of course; including, for a brief spell, a Haye success story up at heavyweight. But a bad loss to Wladimir Klitschko, along with too many injury-enforced pull-outs to have kept track of, hurt Haye badly. He’s seemingly been around forever yet has lost just three times, but Haye has been written off more times than he cares to count. 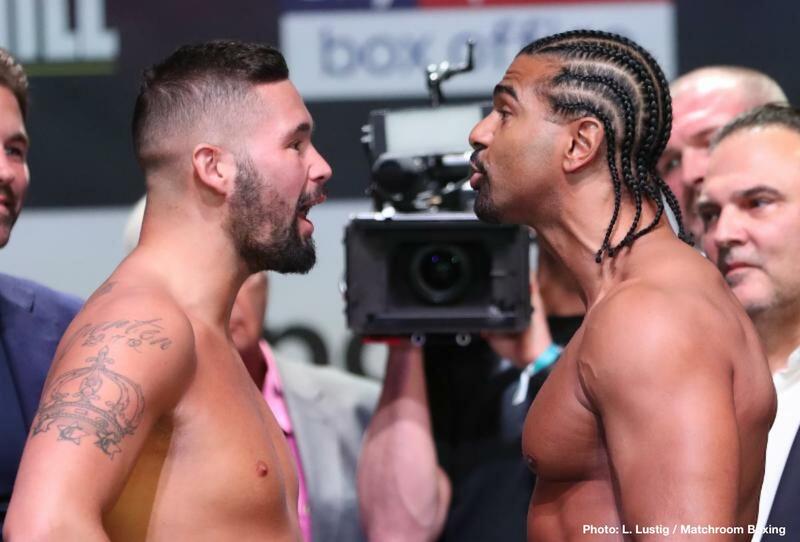 Saturday’s must-win fight with Bellew, the rematch of last year’s upset, when an injured Haye was stopped by a determined Bellew, will be Haye’s last fight – so says his only career rematch foe. 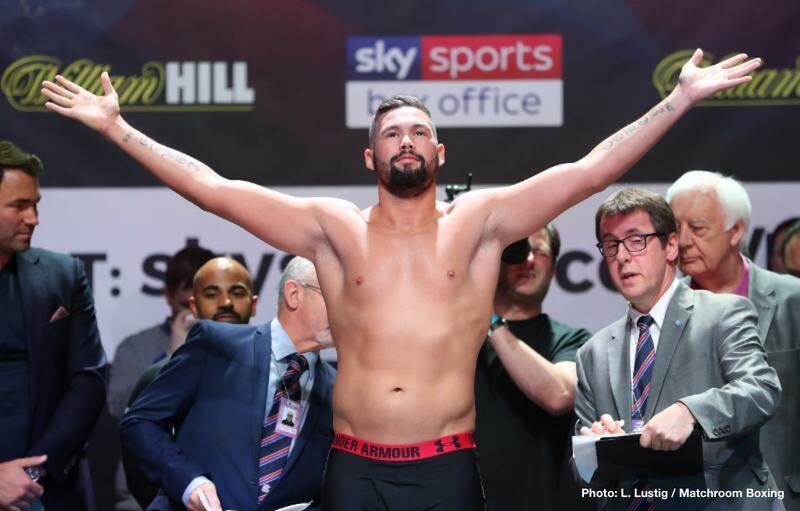 Bellew, certain he has Haye’s number, as he is certain he had Haye’s number the first time, predicts he will KO the man he has had such a long (and at times tedious) war of words with. If he makes good on his prediction, or even if Bellew wins a decision, Haye is almost certain to make his exit. Haye, who says he is (finally) injury-free, naturally disagrees and says that it will be who lands the KO blow, late in the fight. It’s an interesting fight, especially when, hand on heart, no-one can call a sure winner, and those fans who do shell out the pay-per-view fee should get a good action fight. Expecting a classic is going too far. Haye was threatening greatness a decade or so ago, but at age 37 his time seems to have passed. Or just maybe “The Hayemaker” will manage to pull out one last big effort. Either way, we could witness the final chapter in a career that has been as up and down as can possibly be imagined.